Ford is enjoying a remarkable run of success with its EcoBoost family of engines, and there are undoubtedly many more yet to come. This press release reminds us that the ultimate success is all about software – it’s not just about slapping a turbo on the side of the engine. That approach doesn’t maximize power or fuel economy, much fewer emissions. Times have changed. Click on the image to the right for a super high-res image of the EcoBoost 3.5 liter DOHC twin-turbo V-6 – an engine we’d very much like to see in a future Mustang. DEARBORN, Mich., July 26, 2013 – Mike Kluzner’s experience is considered only somewhat unusual among the ranks of Ford’s in-house software engineers. Kluzner got his start designing laser weapon systems capable of disabling the navigation systems of enemy satellites. His employer? The former Soviet Union. Today, Kluzner designs software for onboard fuel system diagnostics on Ford vehicles sold worldwide. Kluzner holds more than 20 patents on onboard diagnostics. “During my work for the military, I was trained very early on how to establish and maintain consistent product performance,” said Kluzner, who was born Mikhail Igor Kluzner and has lived in the United States since 1990. “This became part of my engineering DNA. Kluzner, who began his career with the company in 1996, is one of dozens of in-house powertrain control software engineers at Ford. A large part of these engineers’ jobs is to continually improve and reinvent the control strategies on Ford’s award-winning EcoBoost® engines. Other engineers in the group have backgrounds that include designing software to detect damage to heat tiles on the international Space Shuttle, as well as work in particle physics. The importance of these software engineers to the global expansion of the EcoBoost franchise is hard to overestimate. The software they are working on must manage and optimize increasingly sophisticated hardware in the EcoBoost engines to make Ford vehicles more powerful, cleaner and fuel efficient. 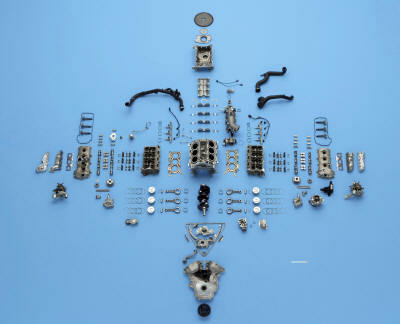 Ford’s EcoBoost engines faced several challenges when the technology first launched in 2009. One was overcoming consumers’ resistance to radically smaller engines with fewer cylinders. Another was the technical difficulty of making powerful engines while still meeting tightening emissions regulations. Ford’s team of in-house software control engineers patented software tricks that exploit hardware advances – like the turbochargers and direct fuel injection systems – like no other car company in the world. In fact, Ford has earned or has patents pending for several of its software control technologies. The result is a new generation of smaller, more power-dense engines that deliver the fuel economy of smaller engines while minimizing or eliminating the traditional shortcomings of turbocharged engines, including turbo lag (the delay between a driver stepping on the accelerator and the engine responding with the desired power). For example, in conditions such as an anticipated transmission shift, the software tells the engine to close the throttle slightly and leave the turbo wastegate closed to maintain boost pressure ahead of an upshift. The customer never sacrifices performance. Without the software engineers’ work, EcoBoost could not have succeeded in the marketplace. But by offering increased fuel economy with no zap to performance, EcoBoost has been an unqualified success. Customers are snapping up EcoBoost-equipped vehicles as fast as Ford can make them. Sales of vehicles with EcoBoost are approaching 70,000 units per month worldwide. EcoBoost-equipped vehicles are gaining share in the U.S. market. The take rate for EcoBoost on F-150 trucks is 42 percent, on Escape it is 89 percent and on Fusion, 52 percent. A fifth EcoBoost variant, a 1.5-liter engine, was recently introduced to meet growing demand for powerful, more efficient vehicles globally. The award-winning 1.0-liter EcoBoost, already available in Europe, will be available this fall on the 2014 Ford Fiesta.